Ubitech Solutions offers SugarCRM Solutions in different business areas enabling corporates to expand their customer base. They deliver efficient SugarCRM Services to maintain your Customer Relationship Management Software by increasing resource use & optimizing it to decrease the processing time. 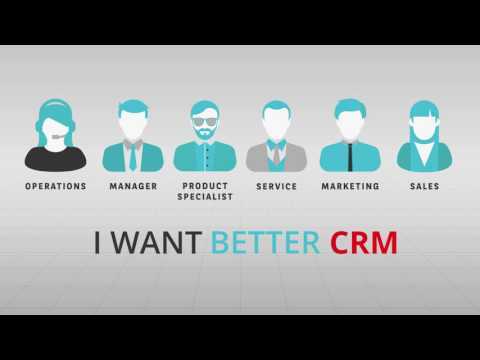 This crm id the best for client relashionship management and maintin sales and marketing data. Monitor your marketing, sales and customer support metrics with Sugar Dashboards. Use Sugar Reports to turn your data into insights. Manage existing relationships better and build new ones - one customer at a time. Sugar’s Forecasting is designed for the individual user as much as for the decision maker. Increase efficiency and productivity across the organization with an enterprise level business process automation toolset designed to automate critical customer-facing processes. CRM Customization and Configuration-No business are the same, yet each can benefit from using Sugar’s custom CRM. Customize and configure Sugar to meet your specific business needs. Mobile CRM App-Maximize productivity with access to Sugar’s mobile CRM app; optimized for all of the handheld devices you use every day. Maintain productivity while on the road, with or without connectivity. Configure the mobile experience to match your individual business needs and branding. Provide all of these benefits with our mobile CRM software, to every individual in your business free of charge. Enhance your marketing and sales initiatives with Sugar. Create, execute and track campaigns across multiple channels. Develop compelling email marketing programs and easily capture leads from your website. Mitigate security concerns and reduce risks for your business with appropriate security policies. Ensure each user gets access to only the relevant customer data and information as tied to their job roles. Sugar’s Self-Service Portal enables quicker time to resolution and reduces overall case load, by allowing individuals to create cases, update their account information, search the knowledge base, and track bugs to resolution. Provide exceptional customer care experience when you make it easy for your customers to find relevant answers quickly. Improve productivity of your customer support team. Turn over the leads to sales seamlessly for faster lead to opportunity conversion. Measure the effectiveness of your marketing campaigns with rich dashboards. SugarCRM is the cure for overblown, oversold CRM. With Sugar you get a simple user interface, industry-leading customer experience, and an intuitive customization platform.